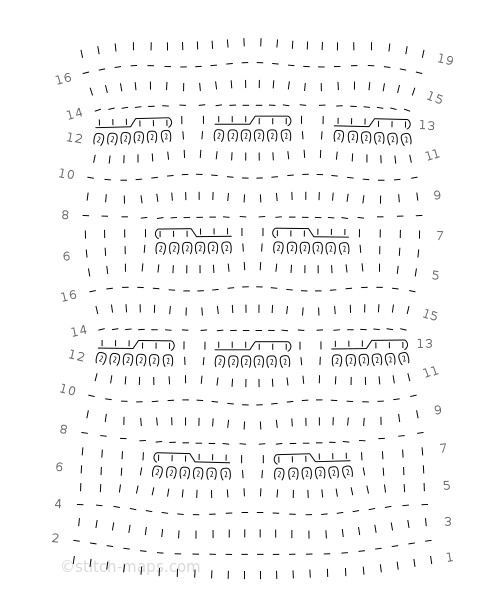 By request, and with super-helpful input from Gannet, Knittingand, irishlacenet, pdxknitterati, and TracyGP, I’m pleased to announce that Stitch-Maps.com now supports threaded stitches. What? You’ve never heard of “threaded stitches”? Well, okay, I’m not surprised; you don’t run into them often. They’re kind of odd. As with cable crosses, you work a set of stitches out of their usual order – but instead of reordering them by crossing one group over another, you thread one group through another. As you can imagine, this can be a little fiddly, though it’s often made easier (and more dramatic!) 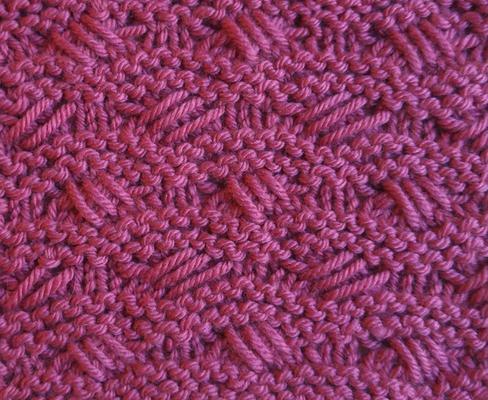 by working with elongated stitches, aka stitches that have been multiply-wrapped on the previous row. 3/3 left thread thru = Slip 6 stitches with yarn on WS, dropping any extra wraps. Insert left needle into first three stitches slipped, then pull them over the other three stitches and return them to left needle. Return remaining three stitches to left needle. K6 on RS, p6 on WS. 3/3 right thread thru = Slip 6 stitches with yarn on WS, dropping any extra wraps. Return stitches to left needle. Insert right needle into 4th, 5th, and 6th stitches on left needle. Pull them over the first three stitches, leaving them on the left needle. K6 on RS, p6 on WS. 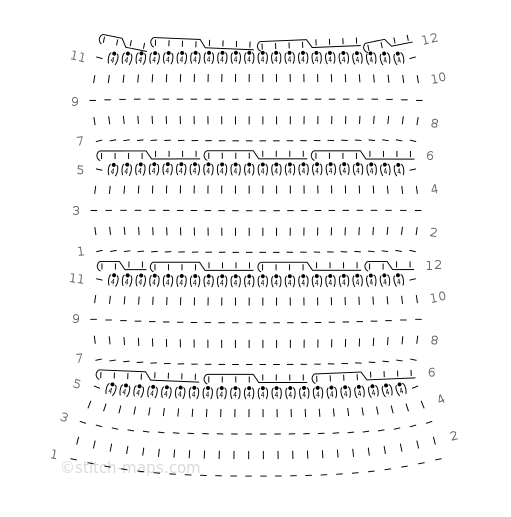 I like this stitch pattern as-is, but I think it would be awesome in a hand-painted yarn, with a contrast-color yarn for the garter ridges, and maybe even with the plain stitches on rows 7 and 13 slipped rather than knit. Hmm, what do I have in my stash that would work ...? As always, you can find all these symbols in the key. And you know where to find me if you have questions!